We're committed to involving patients, carers and members of the public in all areas of work. This is to ensure you are at the centre of how services are planned, delivered and monitored to meet the needs of local people. We also have a legal duty to engage with patients and the public. We try to do this in a range of ways. Sue Harper, lay member for patient and public involvement at Stafford and Surrounds Clinical Commissioning Group (CCG), talks about why it’s important to involve patients and the public and the best ways for people to get involved. Speak to your GP surgery about joining a Patient Participation Group (PPG) if they have one. We have been working on improving our ‘face-to-face engagement model’. This work was designed with patients and builds on the existing network of PPGs. A representative from each PPG is invited to attend a CCG District Patient Group. The aim is to inform and engage the population in CCG activities and local health services beyond their GP practice. 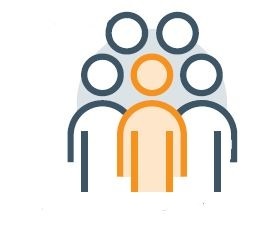 The District Patient Groups are also open to individuals and organisations outside the PPGs who can represent the views of people from different backgrounds and all parts of the local community. Now our three CCGs are working more closely together, we have also introduced a Commissioning Patient Council for the entire south Staffordshire area. The aim is to develop a forum of informed people to contribute to the planning, development and delivery of the most effective health services for the local population. The Council brings together representatives from the community and voluntary sector as well as from the District Patient Groups. Read more about these Patient Groups. Our CCG issues a monthly newsletter with updates from the CCG and information about health services. Find out more about the newsletter and view previous issues - Our NHS Newlsetter. Join our mailing list to receive the newsletter by email. Usually every other month the CCG’s Governing Body meets in public – which means you can attend to hear what’s happening and ask questions. A number of representatives from a range of minority groups act as critical friends on a whole range of issues. LEAF meet regularly and advise us on new policies and proposals to ensure we are fulfilling our statutory duties under the Equality Act 2010. They help us to make sure that we are minimising any barriers to accessing local health services. If you are part of an organisation that can support us, please get in touch. If you like to tweet, don’t forget to follow us @StaffsCCGs and get involved in our conversations.